Another day, another entry. Love this project so far! 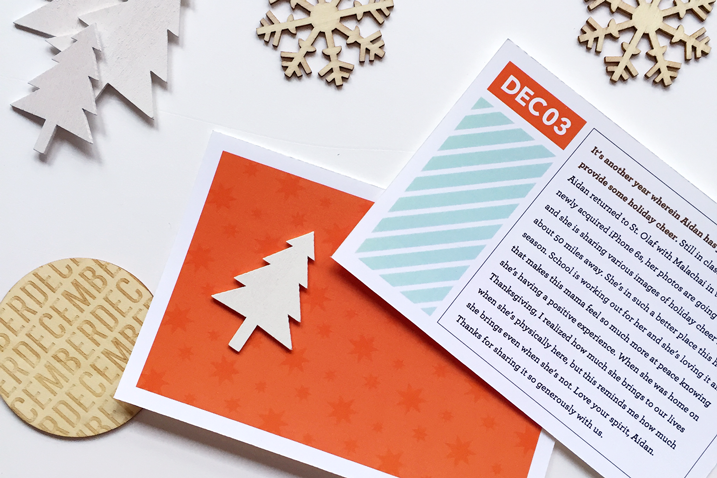 Day Three’s entry is just a photo collage (created by manipulating my free Simple 6 x 8 template set), some words and a simple card using digital papers and a digital stamp. Last year, Aidan started something that she has decided to continue this year: send your mama some holiday cheer from college—and I love it. She’s been sending me images late at night via text for the past three days and I’m just gathering them to add to this album. 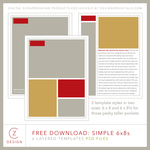 Design Tip: You can change the look of the free templates! Just turn on your Grid (View > Grid) in Photoshop Elements and click on layer masks to change their shape or size. I have my grid setting to every 1 inch with “8” for a subdivision. Use the grid to line up your new mask shapes and preserve that little bit of space between the images. Keep the outer margin the same. 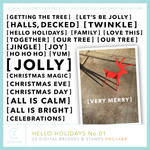 I’m so grateful for her holiday spirit because it’s pretty infectious. Thanks, girlie! 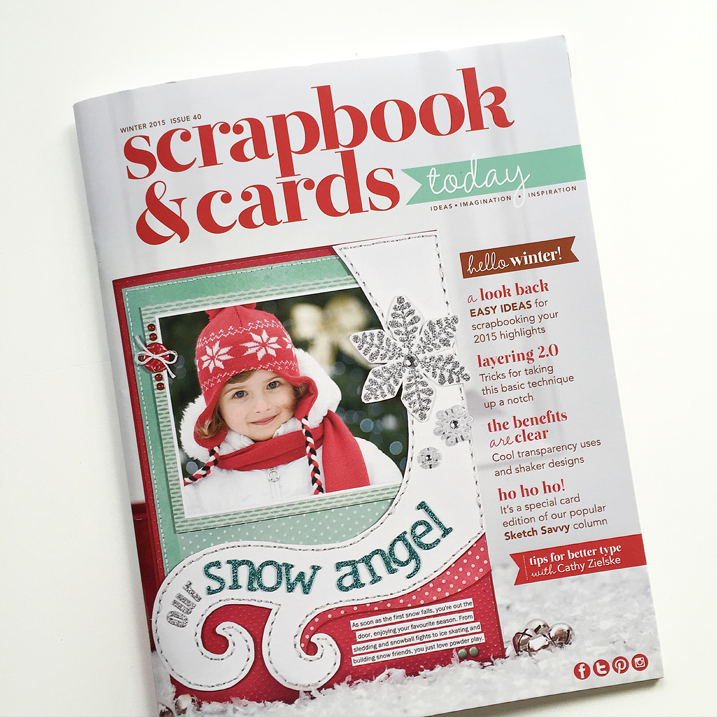 In other news… the Winter Issue of Scrapbook & Cards Today is out now! You can go online and view the entire magazine for free. 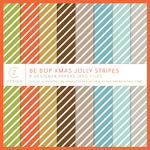 We also have a bevy of fabulous free downloads (a host of them designed by yours truly!) 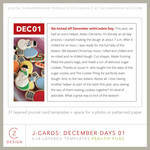 for your winter and holiday crafting enjoyment! Check it out today and get inspired for your weekend memory keeping, ladies. 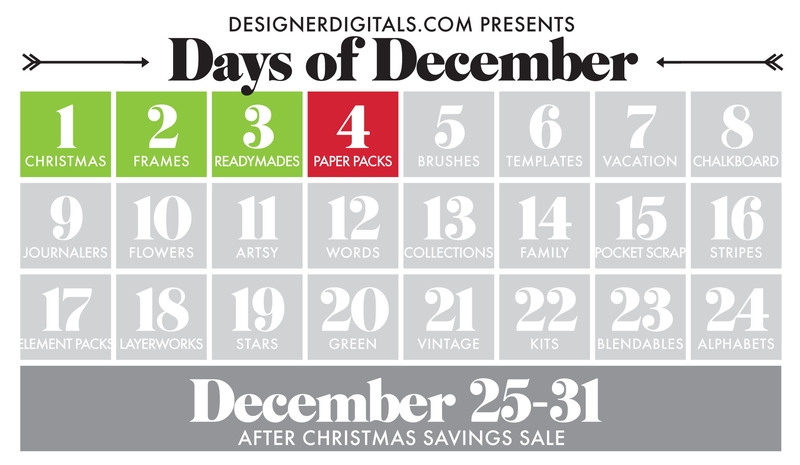 Last but not least… The Day of December continue at Designer Digitals and today it’s all about Paper Packs! 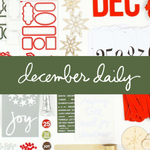 If you like the papers I’m using in my December Daily album, they’re on sale for 40% off (along with all of my digital papers) for the next 22 hours or so! Click here to shop! 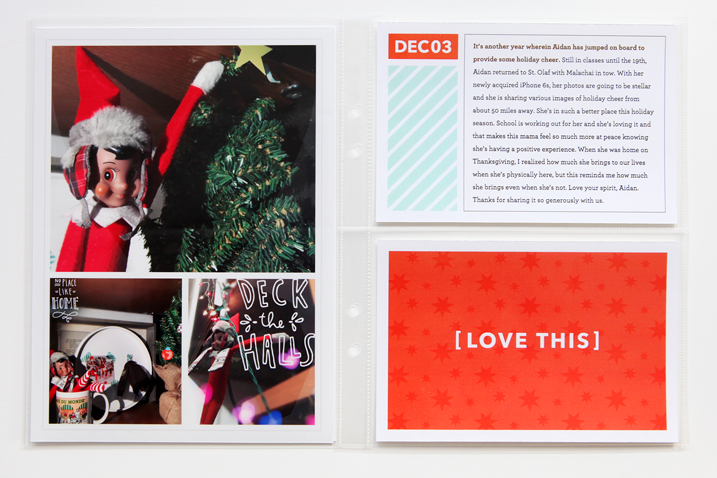 Cathy–I received my issue of Scrapbook and cards the other day in the mail. I just want to thank you and the others who put this beautiful magazine together. I love still having a print magazine to enjoy. Jean, yes! So glad you like it. We have a really amazing team and people who care so much about what they are doing. 🙂 I still love print, too! I, too, am a subscriber to Scrapbook & Cards. I love the whole print magazine-thing (I sure do miss SS & CK), and I so appreciate that there is still one great magazine out there for us scrappers. So fun to sit and look it over and tag pages that I’d like to scrap-lift. Thanks. Count me in too as one who has a paper subscription and loves it!! Absolutely nothing is better than sitting down with a finely crafted “printed on real paper” scrapbook magazine. After working on a computer all day for my marketing/graphic design job, the last thing I want to do at home is sit in front of a screen to read anything. I love paper magazines and books. Thank you for that little slice of peacefulness and the clean, classy feel that you add to it each edition. I am saving the most recent edition for later this weekend after the tree is up and outside of the house is decorated. Aw, thanks Heidi! Have fun playing. And yep, feeling very happy for my girl right now. Cathy, you should totally go for a 6×8 album for your PL next year 🙂 You absolutely rock this size 😀 Thanks for the inspiration and design tips! Hi Cathy. I received my Christmas present this week—an SCT planner AND the magazine. Ditto all the above comments about paper. Your sharing DD inspires me so much because I still love your clean, classic style better than anything. Merry Christmas! Glad this semester has been awesome for her. No one likes to see their kids struggle. Love that they have an elf too 🙂 my baby loves funding hers each morning. Yay. off to read now!